We're big enough to acknowledge mistakes. Last year, this blog predicted that the suffering would continue for Akron's program. 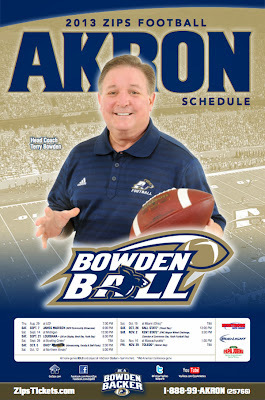 The Zips went 3-33 from 2010-12, but Terry Bowden worked his magic in 2013 in leading Akron to a 5-7 season. There were three painful losses that kept the Zips from becoming bowl eligible, but the most notable came on Sept. 14 at Michigan. Akron lost in the Big House, 28-24, but had a chance to win on the final play. What's ahead in 2014? 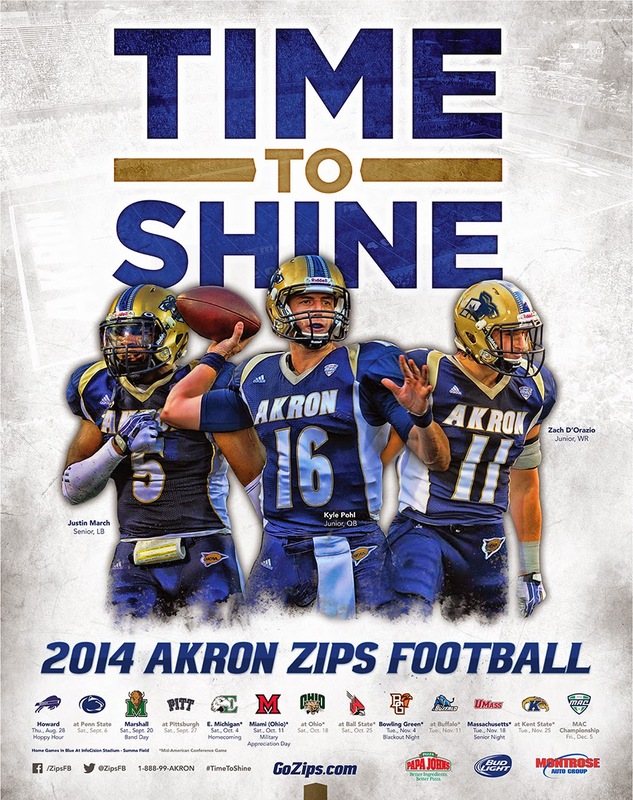 If the improvement continues, the Zips will end their postseason drought. Think your team is experiencing a rough stretch? Try being an Akron fan. 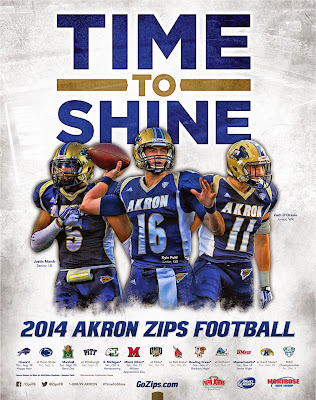 The Zips have lost 11 games each of the past three seasons and are a woeful 6-42 since 2209. It looks like more of the same in season No. 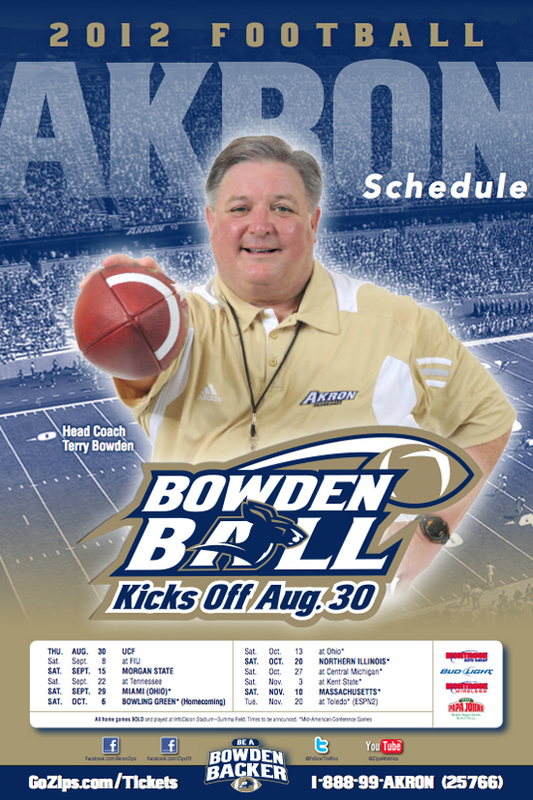 2 under Terry Bowden. The schedule isn't particularly kind and there simply isn't enough talent for a quick turnaround. He's back! 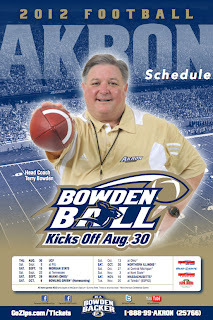 Yes, that's Terry Bowden, who was hired as Akron's coach in December. He replaced Rob Ianello, who was fired after consecutive 1-11 seasons. Bowden was out of the coaching business after being bounced by Auburn midway through the 1998 season. He worked in TV, wrote columns and returned to coaching in 2009 at North Alabama, where he guided the Lions to three appearances in the Division II playoffs. Now he has to work his magic at a program that hasn't had a winning season since 2005. Click the image to enlarge. Thanks to Gregg. After the jump are two videos. The first is of Bowden talking about how excited he is to be part of the Akron family. The second features Bowden talking about the Zips' spring game. Akron was 1-11 in Rob Ianello's first season as coach. The good news is that the Zips enter 2011 with a one-game win streak after beating Buffalo, 22-14, in the 2010 season finale. Akron opens 2011 at Ohio State.